When looking to move a business into an office, one of the biggest roadblocks can be the furnishings. Furnishing an office can be complicated to coordinate, time-consuming, and prohibitively expensive. Luckily, fully furnished offices are now an option that business owners and entrepreneurs can take advantage of. With a furnished office, there is no need to move in desks, cubicles, or chairs; in fact, the office is fully ready to be used. Furnished offices have many benefits and there are many furnished executive offices in Brampton, Mississauga and throughout Ontario. 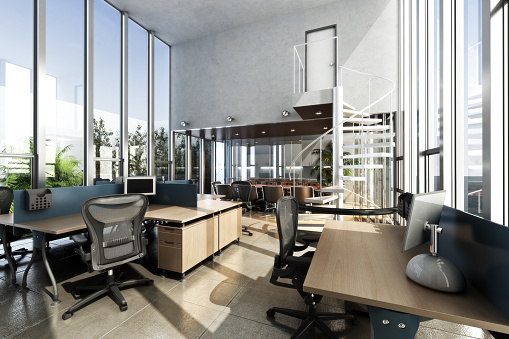 Here are just a few of the reasons why using a fully furnished office can be a great idea. If you’re planning on downsizing your business to save on costs and increase efficiency, then it makes sense to move into a fully furnished office space in Mississauga as you reevaluate your business expenditures. Also, downsizing has a lot of great benefits for your employees; they can collaborate on projects more easily in a smaller office setting and many of them can even work remotely from home if that set-up complies with their daily work tasks. Downsizing doesn’t necessarily mean that you’ll be forced to let people go; it just means you need to reexamine your company’s expenses and find creative ways to reduce them. By moving into an office space that’s already outfitted with all of the furniture and accompanying equipment you could possibly need, you’re already cutting a great deal of the moving costs because you won’t have to hire a moving company to transport all of your furniture. Many office spaces for rent in Mississauga even give you the option of customizing the furniture set-up according to your own preferences. The ultimate goal is to aptly represent your company culture. Whether you want something more laid back or professional-looking is completely up to you. Fully furnished office spaces provide the perfect backdrop for your employees to feel right at home in their new location. Just make sure that you thoroughly research every new area you’re considering. You should ideally take distance, transportation, amenities, surrounding neighbourhood, and the crime rate in your new area into account. Keep in mind that not all of your employees will be familiar with the new location and their safety and convenience is of the utmost importance. Moving to a new office location can either be an easy transition or a major disruption in the lives of your employees, and it’s only fair that you take their personal lives into consideration when choosing a new office location. There are plenty of furnished office spaces for rent in central Mississauga, Toronto, and Brampton that can accommodate all of those needs. Perhaps one of the greatest advantages of opting for a fully furnished office space for rent in Mississauga is that they typically come with a variety of other amenities and services that regular office spaces don’t supply. These accommodations include amenities such as Wi-Fi, conference-calling capabilities, shared and private workspaces, computers and laptops, whiteboards, mailing services, and full administrative services. Furnished rental office spaces also provide complete IT support whenever you or your employees need it. Another benefit of renting a furnished office space is that you get to choose when you want to use it and you only pay for whatever you use. There are no fixed timeframes or rates and packages are usually adaptable to your needs. Furnishing an office is expensive. Desks, chairs, and cubicles all cost a lot of money, not to mention any advanced equipment or furnishings which you may need. The costs can add up, particularly if you have a mid- to larger-sized team. Renting a fully furnished office is more affordable than trying to furnish one yourself. Not only will you not have to purchase furnishings, but you will avoid installation and setup fees for things like the wireless network. One of the most obvious benefits of using a furnished office is that you avoid the hassle and complexity of furnishing an office from scratch. Furnishing is a lengthy process and there are many variables that have to be taken into account; for instance, the location has to be considered, as well as the size of the furnishings and the setup of the office. With a furnished suite, you can simply move in, and if there is something you want to change, many offices will allow you to customize some features. Fully furnished offices can also offer more than just furnishings. Many of them also come with additional features, services, and amenities that will make your work easier and save you money: these can include receptionists, IT support, printing and faxing services, and office supplies. Some furnished offices also offer more luxurious amenities, like an in-office kitchen or high-tech equipment. With a furnished office, you have a guarantee that your office space will look professional. This is especially important if you are going to be meeting with clients, potential employees, or other people in related fields. The image of your business is important and having an office that is professionally set up and features high-functioning technology will go a long way to improving others’ first impressions. Businesses grow, so you want to be ready when they do. Just like how you are making the move into an office, you may someday need to move into a larger office space that can handle more employees. Furnished offices can offer this flexibility, allowing you to scale up on an as-needed basis. This will save you a lot of time and money when the time comes to take things to the next level. Innovative Professional Offices offers mailbox services and virtual offices, along with fully-furnished executive suites for rent in Ottawa and Mississauga. We offer flexible and affordable packages along with customized payment plans to comply with your requirements. For more information on our comprehensive office rental packages, please contact us.